TMS writer TJ Presley contributed to this report. The wait is over and the cuts are here. Gov. Michael J. Dunleavy finally introduced his budget to the Alaska Legislature today, the final day allowed under state law and a third of the way into the legislative session. It’s going to take a while to completely unpack the impact of these cuts as some bits of the budget are, well, less-than-clear on just what they’ll do. The budget also comes in tandem with a series of budget directives, bills and administrative orders. There are some monumental legislative changes like the repeal of the Senior Benefits Program in 2019 (it was set to sunset in 2024) and the repeal of municipalities’ ability to tax oil and gas properties. The Legislature and the public will begin to unpack the changes in the budget and–hopefully–their economic impact on the state in the coming days and weeks. The biggest cuts will hit: The University of Alaska, which saw 41 percent of its current budget funding erased; Health and Social Services, which saw 30 percent of its budget cut; K-12 schools, which saw about a 25 percent of its budget cut; and the Department of Transportation, which saw 38 percent of its budget cut. Dunleavy’s state budget director Donna Arduin claimed that the budget represents a loss of about 700 full-time and part-time employees from state employment. Dunleavy said he had not looked into its economic impacts, which ISER estimates would exceed 16,000 jobs lost in the economy. When asked if his changes to health care might boot someone off cancer treatment, Dunleavy said there was no specific policy to that end. Editor’s note: This is a developing story and will be updated with additional departments as we churn through them. Unless otherwise specified, all numbers below represent changes to unrestricted general fund spending. Gov. Michael J. Dunleavy has proposed an overall cut of $325 million from state funding for K-12 schools, a roughly 25 percent reduction in overall UGF funding for the budget. The biggest cut is a $333 million cut directed at the state’s direct support to schools while also eliminating a one-time increase of $30 million that had been agreed to by the Legislature last year. It also takes axes to other school programs by ending the state’s pre-kindergarten grants and nearly eliminating some early learning funding. $300 million cut to foundation funding, which will need a change in law the FY 20 Foundation Program estimate includes a base student allocation of $5,930. $30 million cut in additional funds already promised by repealing the FY 20 one-time, outside-the-formula funding in Sec4 Ch6 SLA2018 P5 L1. Interesting: 50 percent of the donations received under the education raffle program, estimated to be $300,000, are appropriated to the Department of Education and Early Development to be distributed as grants to school districts according to the average daily membership for each district adjusted under the funding formula for the fiscal year ending June 30, 2020. A $3.2 million cut to pre-kindergarten grants, eliminating the program. $4.3 million fund change to Mt. Edgecumbe Boarding School, changing the fund source from its trust fund to general fund money. Small bump, about $1.4 million, to library operations but a small cut to Museum operations of $25,000. The Department of Administration serves as a catch-all for plenty of other programs. Here, Dunleavy has taken the knife to public broadcasting. He’s proposed flat funding for programs related to public safety. In a call with reporters, University of Alaska President Jim Johnsen said the university has three months to figure out how to handle the proposed cuts. He said the proposed $155 million cut would translate directly to 1,300 jobs lost. Balancing the cut with a tuition increase would require the university to double its tuition. The governor has conveniently found some additional money or made transfers to coalesce budget other powers in his administration. Removed proposed $1 million increase for the redistricting board from Walker’s FY 20 budget. $398,000 increase–in addition to transferring the Administrative Services Directors– OMB has added two management positions, a Deputy Director and a Budget Director. Two full time positions (PCN’s 11-0400 and 11-6001) and their personal services cost are transferred from the Department of Fish and Game to the Office of Management and Budget to support the cost of these changes. $767,000 was allocated for Economic Development in DCCED prior. There are some big changes in store for the Department of Commerce, Community and Economic Development. One that’s likely to catch the most headlines is the proposal to fully repeal the Alcohol and Marijuana control boards and require the Alaska Marijuana Control Office to cover its costs with increased fees. $767,000 cut to Economic Development, in conjunction with the move transfer of economic development functions to the governor’s office. According to the administration, marijuana licensing fees will now cover all of the activities for the marijuana control office and all GF has been removed. The Department of Health and Social Services will see cuts throughout its services with big hits targeting Medicaid and senior programs like the Alaska Pioneer Homes and the elimination of the Senior Benefits Payment Program. In some cases, the administration is cutting or reducing programs and in others, like the Alaska Pioneer Homes, are requiring users to pay more. A $271 million cut (39.7 percent) to Medicaid Services from the implementation of a “combination of cost savings and containment measures to achieve this decrement” that includes a long list of proposals, but the most important one is a “review of eligibility determinations,” which translates to kicking people off. Hikes fees to residents of the Alaska Pioneer Homes in order to “fully close the gap between the actual cost of providing services and current rates” while also creating a $15 million assistance fund to help people currently living in the homes to stay. Public safety, corrections and rolling back criminal justice reform are one of the few places in the budget that Dunleavy has said he’s fine with seeing growth during his administration. The overall corrections budget will be slightly smaller under this proposal, which doesn’t account for an estimated $41 million increase to prison budgets expected under his sentencing rollback that would put more people behind bars for longer. A proposal to move 500 prisoners to private out-of-state correctional facilities. The new contract would send $17.7 million Outside for the housing of these inmates while seeing reductions at other facilities, primarily the Palmer Correctional Center (a $7.5 million cut) and the Wildwood Correctional Center (a $6 million cut). Overall, the population management budget would grow by $2.2 million or 1 percent. A $455,000 cut to health and rehabilitation services. It has an unallocated reduction of $30.5 million, which is apparently due to the contractual savings of moving prisoners Outside. Alaska State Troopers won’t see the proposed $21 million budget increase proposed by Gov. Bill Walker. Instead, the budget will stay essentially flat from the current year to the proposed year. A $3 million cut to the Village Public Safety Officer program that the administration says will match the funding to the current expenditures. Flat funding for the Council on Domestic Violence and Sexual Assault as well as most other programs. Walker had proposed a $13,900 increase for the council. The Department of Transportation saw a huge chunk of its UGF budget erased in Dunleavy’s proposal. After privatizing the Alaska Psychiatric Institute, Dunleavy is setting his sights on the Alaska Marine Highway System, which OMB Director Arduin criticized for not being competitive with traditional roads. “The cost of transporting a vehicle on state highway is about two cents per mile, where it’s about $4.58 per mile on a ferry,” she said. Taking all funds into account, the Marine Highway System is looking at a $97 million cut, of which $64 million is UGF. The Department of Law budget will be about $5 million smaller than the one proposed by Gov. Bill Walker and about $2 million smaller than the current fiscal year’s budget. The Civil Division’s Child Protection Unit won’t see a $1 million increase proposed by Walker. There’s a reduction of about $2 million from the current year’s budget for the Civil Division’s natural resources unit. Walker had proposed reducing it by about $1.2 million. Both of the proposals are a function of dwindling funds that were part of an unusual multi-year operating budget appropriation for the litigation relating to the Flint Hills refinery in North Pole. 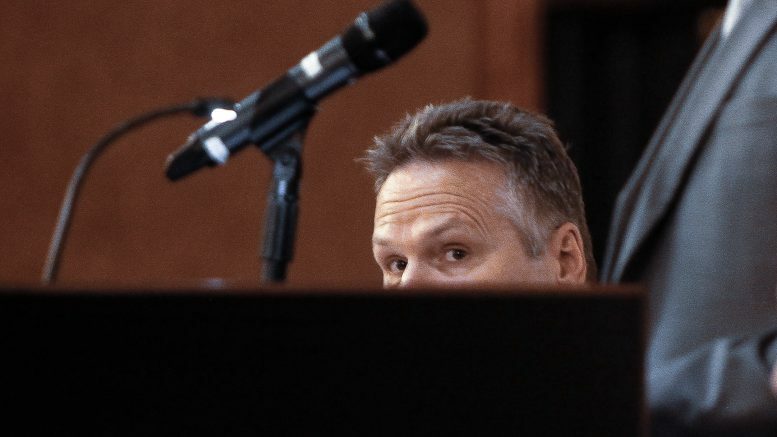 While Walker had kept courts funding flat in his budget, Dunleavy is proposing a $3 million increase for the budget largely due to his promise to keep courts open through Friday. The Department of Fish and Game didn’t see many significant changes compared to the current budget year. Instead, some areas of growth propose by Walker have been eliminated. There’s a $280,000 cut in UGF to the Wildlife Conservation budget, which taken with other changes in the agency’s budget results in the loss of about $400,000 in federal funds. The state budget documents say the state “will no longer manage ‘Special Areas'” that include wildlife refuges, sanctuaries and habitat areas, including freshwater and coastal wetlands, marine environments, boreal forests, alpine and maritime tundra. Not a lot of changes for the already-small Department of Labor and Workforce Development. The Department of Revenue will form a centralized Economic Research Group in the Office of the Commissioner that will provide statewide economic analysis at the cost of $1.153 million from Tax Division to Commissioner’s office. As usual, the governor doesn’t propose a ton of changes for the Legislature. Again, much of the changes for the Department of Military and Veterans’ Affairs are in comparison to the budget proposed by Walker. Big ticket item: Walker proposed a $2.2 million increase in Military Youth Academy. Dunleavy rejected that and maintained flat funding but proposed a $100,000 cut to be filled in with increased fees. Dunleavy is proposing to appropriations forto the Oil and Gas Tax Credit fund, of $170 million and $84 million, paid out of AIDEA receipts. A statutory change is being proposed to repeal the program and the associated $4 per berth fee and accompany this budgetary change. There is currently only one operating cow dairy in Alaska. The Department proposes to eliminate the State’s dairy program. This will result in the deletion of one Environmental Health Officer III, saving the state about $179,000. 2 Comments on "Dunleavy’s budget cuts from schools, seniors and pretty much everyone else: ‘I think they expected a budget like this’"
The Community Colleges would become subject to a line item deletion by the Governor with this it looks like. The State of Alaska’s Constitution lists public education both K-12 and state college to be funded by the State. UAF, UAA, and UAS are the state colleges. State colleges were set up to offer a lower cost tuition so that students of a state could get a education without having to pay high tuition from out of state schools. You can read this on p 123 and p. 126 of the Constitution listed below. Public education and higher education are stated as public goods that need funding. I am of the opinion that the proposed budget is NOT legal per the State’s Constitution. When you have to shut down campuses, you are not talking about a bare bones budget. You are talking about a destroy public education budget. I would suggest that the outside person who created this budget has committed fraud because the budget goes against the Constitution. And since Dunleavy has brought this person into our state, how is Dunleavy free from charges of criminal conspiracy against the State’s Constitution? We are required to fund public education. If people want a PFD and thus we need a 40% sales tax, then that is what we need. We are required by our Constitution of fund public education.